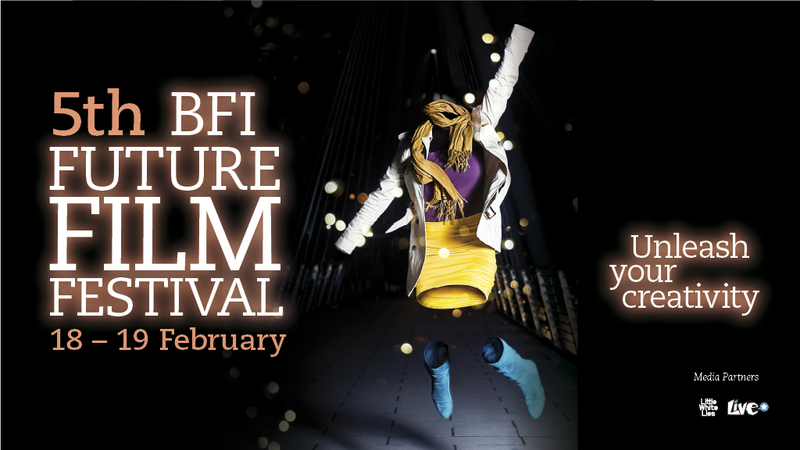 The 5th annual BFI Future Film Festival is now underway at the BFI Southbank, with a full programme of film-related events and masterclasses for 15-25 year-old film enthusiasts. Tickets are £5 for a one day pass for 15-18 year olds and £10 for a one day pass for 19-25 year olds. If you’re reading this now and don’t live too far away, a weekend pass is still worth your while. Weekend passes are available at the Box Office, priced at £8 for 15-18 year olds and £15 for 19-25 year olds. Please note that it’s not possible to book for individual sessions – ticket holders must register for sessions they’d like to attend on the day. There are limited places for each session. Plus, I’d be literally crazy if I didn’t take this opportunity to plug my own drop-in blogging workshop sessions, where I’ll give an introduction to blogging, dispense some (hopefully sound) advice, and furnish you with a handout. This entry was posted in Bits and pieces and tagged 18-25, BFI, blogging workshop, CRAZY, future film festival, handout, southbank on February 18, 2012 by Ashley Clark. Thank very much for the kind words! Much appreciated. About to get going on Day 2 of the workshops. Wish I had longer to discuss things as it’s such a wide, broad subject. Maybe next year I’ll have a whole day to myself! Not a problem at all. Hope it all goes well today. Let me know if you do have any more blogging workshops, I’d love to attend. Hi Mr. Helmet, was great to see you today in one of your workshops. You’ve certainly inspired me to continue my blogging and develop my own style. Good luck for the foreseeable future in all that you do! Thank you. Good luck to you also.